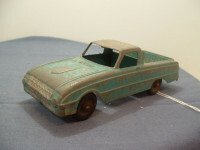 This is the Hubley #403 Ford Falcon Pickup issued circa 1960 in light blue. 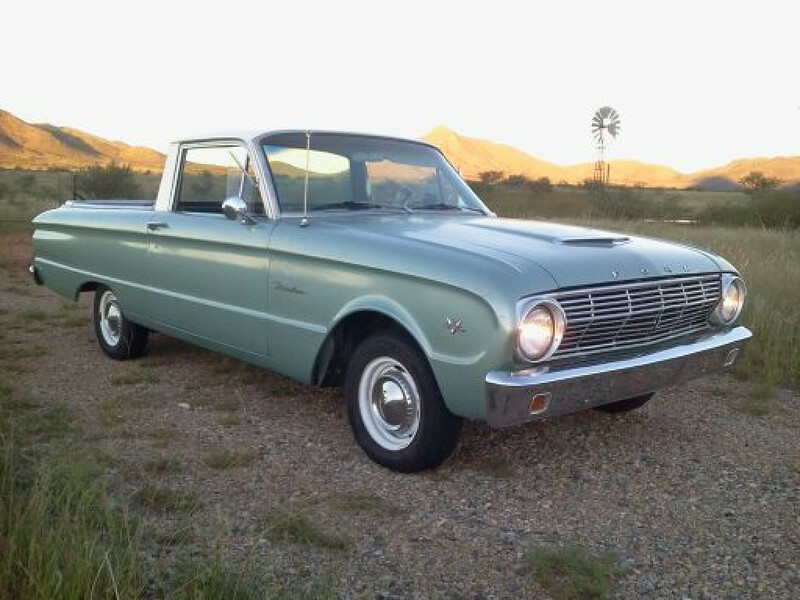 Often referred to as a "Ranchero" in the North Americas, they were called Utility Vehicles ("Utes") in Australasia. It is 150mm long, 50mm wide and 48mm high. 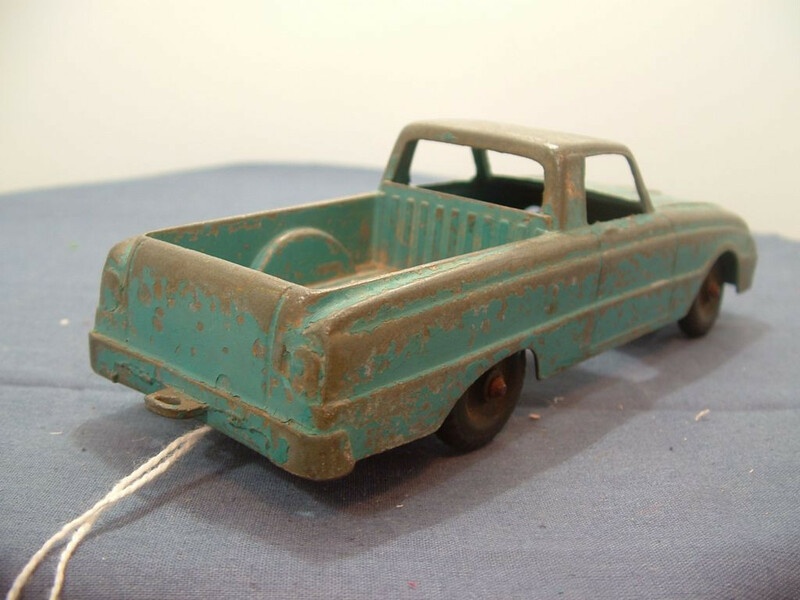 It is a one piece casting with all detail such as bumpers, lights, body lines and trim, etc. cast into the metal. There is no glazing or base to the model. On the under-side the model carries the legend "HUBLEY, Lancaster.PA. Made in U.S.A., 403" cast on four lines under the read deck. 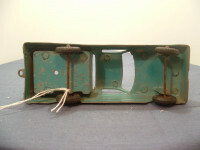 The conical domed head axles pass through the wheels and are pinch-clamped to the flat columns that protrude from the underside of the body of the model. I don't not know when this model was issued, but believe it to have been in the early 1960 as it is an example of the early second generation Ford of that time.